The Bhongir Fort of Nalgonda is situated in the Bhongir town of Bhuvanagiri district in the Indian state of Telangana. The fort is a very popular tourism destination for any and every traveller visiting the newly born state of Telangana. 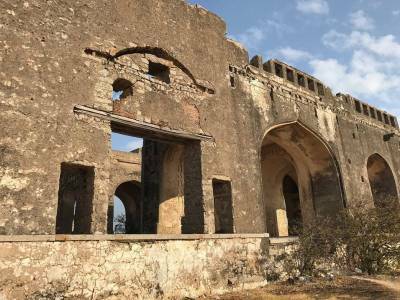 The history and architecture of the Bhongir Fort of Nalgonda makes it a tourist magnet and a brilliant manmade stage where the nature can present its orchestra in the most enchanting way. The Bhongir Fort of Nalgonda was first erected by the Musunuri Nayaks of these southern parts. The base of the fort atop an out of the terrain, singularly standing huge monolithic rock was their original idea and the root to the fort’s uniqueness. 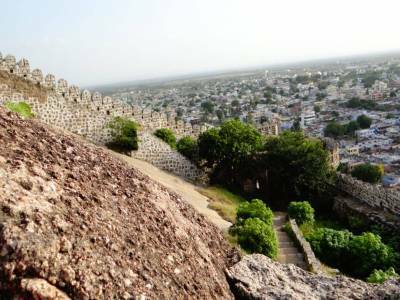 In the latter years with the advent of the Chalukya and Kakatiya dynasties the fortification of the Bhongir Fort of Nalgonda was revamped. The stories of Tribhuvanamalla Vikramaditya the 4th about this fort and the reign bestowed the region a new name of Bhuvanagiri. 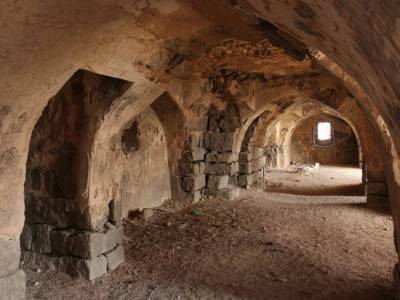 With course of time after many invasions there were many shifts of power in this fort from the sultans to the nizams to the people. 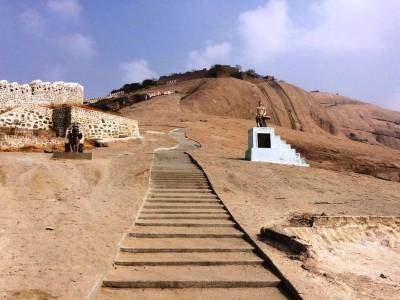 What attracts the tourists to the Bhongir Fort of Nalgonda is its beauty and well planned frame. The walls of stones, the arches of granite, the rock cuttings on the fortress, the steps to the main gate, the moat encompassing the fort, the underground passage, the viewpoint citadel and the Hanuman temple just awe-struck the visitors and keep them interested in this sightseeing spot. The vista of the neighbouring land and the legends of the land give the travellers all encouragement and solace they want. Indian forts are awesome.. visit to this fort was amazing... beautiful natural scene can be seen from walls of fort. 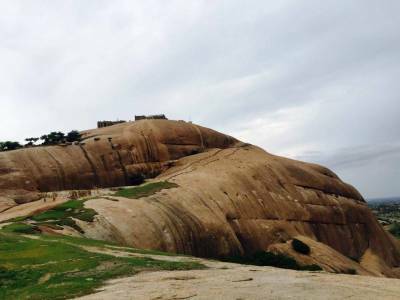 Get quick answers from travelers who visit to Bhongir Fort.